Feeling angry isn’t a bad thing. And sometimes, there’s a rational reason why you feel angry. However, a lot of the time, anger is never just anger. 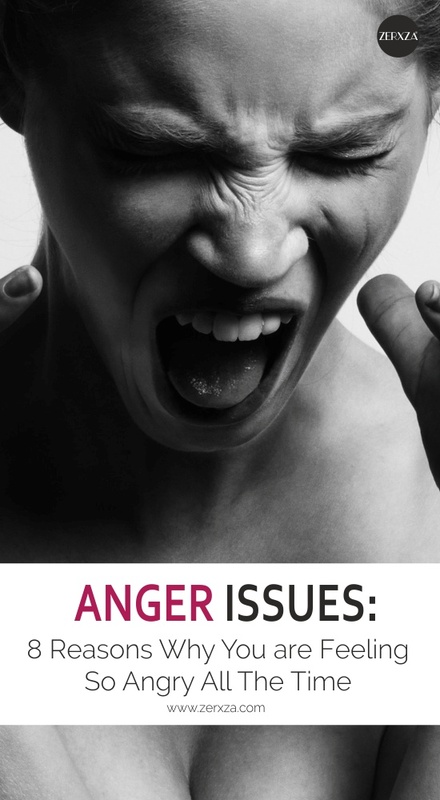 Anger usually stems from underlying issues and hidden emotions. So, even if the thing you’re angry about isn’t really that important, the anger itself can still be quite destructive and harmful – both to you and the people you’re with. It’s a good idea to understand your anger and why you are so angry all the time. Knowing this won’t make your anger go away overnight, but it can help you heal the issues making you so darn angry. If you have a hard time saying, “No” when you need to, and end up saying “Yes” all the time, you can grow resentful and angry. Why? Because you end up doing things you’re not comfortable with. The only problem is you blame this on other people. In your opinion, it’s their fault you feel this way, and other people take advantage of you. However, you don’t realize that because you don’t set clear boundaries and honor them, it creates the perfect situation for you to feel angry. Resentment builds up when we’re upset about things, but hold it in for days, weeks, months and even years. Maybe you resent your spouse for things he or she did years ago. Maybe you resent your parents for how they raised you. Then, something happens – something that doesn’t bother other people – and you get triggered. Why? Because it triggered your long-held resentment, and you lash out in anger. When you experience long-term depression, it makes it hard to feel other emotions. Everything is a bit blasé, grey and hopeless. It prevents you from really connecting and expressing emotions. And this is incredibly frustrating. This makes anger an easy-to-access emotion. It’s something you can use to express your pent up feelings of discouragement, frustration and hurt. You may struggle with feelings of inadequacy, low self-esteem and have zero confidence. Unfortunately, this means you can feel threatened and attacked in an instant. That’s because you lack grounding, rooting and connection to your deeper, truer self. The idea of being rejected – on any level – is incredibly destabilizing. When this is your modus operandi, you never feel safe, stable or “at home.” Instead, you feel on edge and always on the verge of breaking down and cracking open. And when you do, it’s with anger outbreaks. People who struggle with anxiety don’t just deal with anxiety. They have to work incredibly hard at “keeping it together” and managing daily life just like everybody else. This takes a lot of energy and can be downright overwhelming. Their internal state is so fractured, but they hide it well until they simply can’t anymore. You’ve probably observed this in other people who seemed completely level-headed until they have an unexpected angry outburst. Childhood isn’t always the idyllic time we associate with youth. Instead, it can be a traumatic time, full of pain and mixed-messages about anger. This is in no way an attack on parents. We have to believe they did the best they can with the knowledge and skills they had. However, many families are torn, dysfunctional communities, where anger is misused and expressed in harmful ways. For example, many people think it’s okay to act aggressively or violently when they’re angry. Why? Because this is what was modeled to them from their parents. But if you’re never allowed to vent, you keep this anger deep inside of you. And when you “grow up”, it comes out when you least expect it. It has to. Sometimes, our parents or guardians fall short because they express anger violently and in toxic ways. As children, we grow up believing that anger is bad and destructive – something to be avoided at all costs. This isn’t true, but without seeing healthy angry, it’s hard to imagine anything different. So, we grow up not allowing ourselves to express anger, but anger doesn’t just disappear. It stays deep inside and will make itself known. Do you ever remember something that happened or something that was said that really hurt you? You couldn’t find the right words to say at the time, or you weren’t able to express your anger in a safe and healthy way. Now, you remember this event frequently, only to feel anger every time. This isn’t any good. It’s like you’re punishing yourself for something you didn’t do – that is, you punish yourself for not being angry with the other person. If these issues aren’t healed, similar experiences will trigger fresh anger and make you remember all the negative things that happened in the past, too. This is especially true for individuals who experience abuse, trauma or bullying. But this doesn’t have to happen only in childhood. Adults struggle with these issues, too. Grief affects us all in different ways. Kubler and Ross identified seven stages of grief. This is how they progress: shock, denial, anger, bargaining, depression, testing, and acceptance. However, they also add that “We usually know more about suppressing anger than feeling it.” And this is where some people get stuck. If you don’t allow yourself to feel anger fully, grief can linger and you can feel angry all the time. There’s nothing wrong with anger as an emotion. It rises to the surfaces and must be felt and expressed in a healthy way. Unfortunately, many of us have no idea how to do that. This results is being angry all the time. Do any of these eight reasons sound familiar or resonate with you? If so, how can you heal them so you can be free of your anger? Previous articleE Numbers in Your Food: Should You Avoid Them?